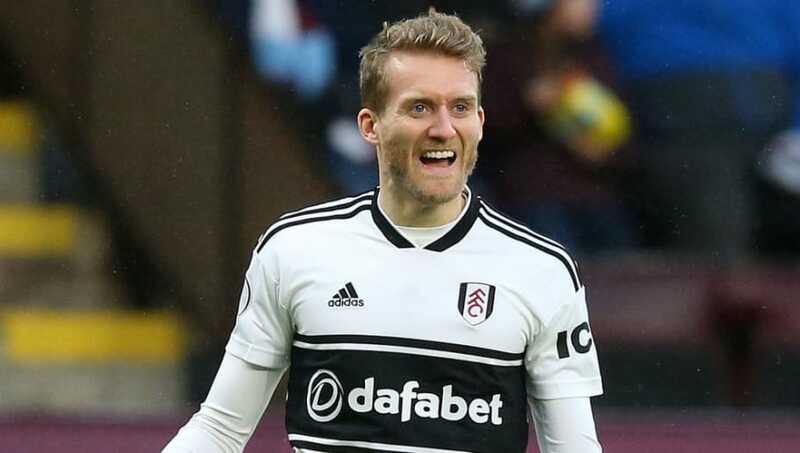 Andre Schürrle has won the Premier League's Goal of the Month award for January for his stunning solo effort for Fulham against Burnley. The German winger showed delightful control to bring down Denis Odoi's ball over the top, before firing a scorching effort past Tom Heaton in the Clarets goal - slamming the ball in on the volley despite facing an acute angle. The 28-year-old has admitted that the goal ranks among one of the best he's scored in his career, before claiming that Fulham just need to take things game by game in their battle to avoid relegation. ​"I saw Denis and the ball was just beautiful," Schürrle told the Premier League's official website upon collecting his award. "I just tried to control it somehow and get a shot off and obviously I hit it quite well. "Yeah, it was a beautiful goal. When I look at it the control and the shot were quite beautiful, so it’s probably [in my] top three." "We need to look game by game and get some points to climb the table," he said. That’s what we need to believe – and we believe it, so that’s why we work hard every day, and try to get the points." Despite their predicament in the table, ​Fulham have proven on more than one occasion that they are capable of the spectacular, with Jean Michael Seri having already collected the Goal of the Month award in August - ironically, also for a strike against Burnley.